Proudly serving all of Arizona. As your spine faces prolonged wear-and-tear, oftentimes as a result of	osteoarthritis, a condition known as spinal stenosis commonly occurs. 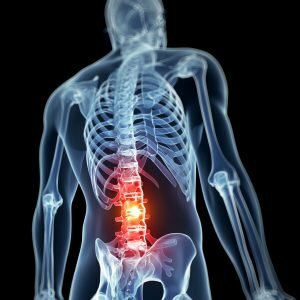 Over time, spinal stenosis can cause your discs to bulge, ligaments to	buckle and damaged tissues and joints to become severely inflamed, all	of which places excessive pressure on the spine and spinal nerves, ultimately	reducing circulatory functionality. As spinal stenosis grows worse, activities that were once simple –	such as standing or walking short distances – become increasingly	difficult due to the unfortunate and persistent achy pain associated with	this condition. 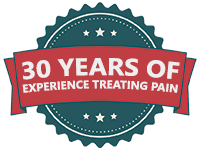 At LaserTech, we utilize multi-level computerized lasers to help reduce	the inflammation caused by arthritis and degenerative joint disease, and	promote accelerated cell healing and reproduction, which can ultimately	minimize the progression of osteoarthritis and provides you with the relief	you deserve. We also offer a Super-Traction Decompression system that	enables us to reduce the pressure your spinal discs and nerves are carrying	– a technology that has helped countless patients avoid going under	the surgical knife in order to find relief from pain. These two medical technologies supported with our full, tested and true	protocol, are necessary if our goal is truly to get results with this	difficult condition. We provide a safe and highly successful way to get	the relief you deserve and we are proud to say that our new and improved	protocol is helping the majority of our patients with this progressive	disease. What do you have to lose but your pain! Looking for a Great Alternative to Surgery? Look No Further! Call (602) 633-1063	to schedule your free consultation today!